You may be tempted to download these free vectors and use them in your artwork, but by doing so, you may be compromising on the quality, plus these free vectors may employ licensing restrictions as well. Always make sure the licence you get is fit for your projects needs! Using free vectors for important projects is not recommended. By spending a few dollars, you can be sure of the quality of the vector that you are getting, however many of these online resources can offer great ways to save you some money. Subscription plans offer great value if you are a regular buyer, you can end up getting a lot of bang for your buck. There are also other sites where you can get coupon codes, these can be used during your purchase for a discounted price or for extra illustrations. These discounts can even go up-to 40% or more during some seasons. 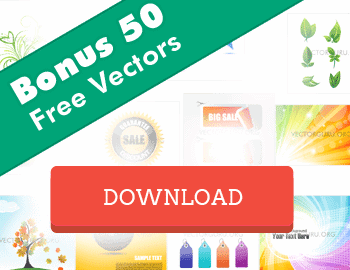 Another way to get a cheaper deal is to buy vector packs, where an entire collection of Vector images are offered for low prices. 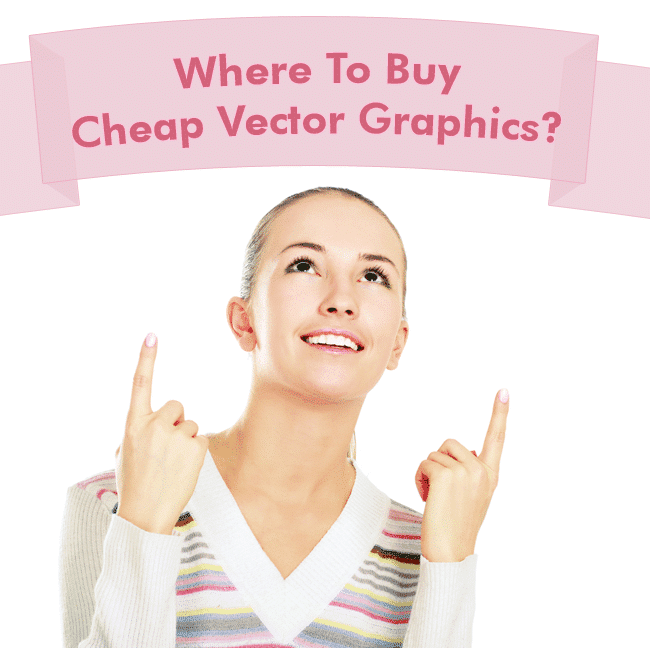 Let’s go through a few sites where you can get cheap vector graphics. Each of these websites offer High Quality, Cheap Vector Graphics at incredibly low prices! One year membership, 1,200 images and no limit on your daily downloads (Up to 100 per month) for $49 (or $0.04 cents per Vector), that’s a huge 55% discount! They can also be used on their own or as part of a larger project! A no questions asked, 30 day money back guarantee. You can find out more about Vectorfresh and their early bird discount here! This site is sure to go on your favorite list if you’re a fan of cheap vectors. The best part about this site is that te cheapest vectors appear at the top of the list. All you have to do is use the ‘sort by price option’ just above the item display, and select ‘sort descending’ beside it. You will find some of the vectors priced at $1. Browse on, and you’re sure to find great graphics and icon sets for just $2. Graphics included are usually JPG images and EPS. PDF and AI formats are also included sometimes. VectorStock is a haven for most designers looking for cheap vector graphics. There are around 60 categories to choose from, with 10,000 to 50,000 vectors in each category. You can purchase images for credits that cost $1 each, and you'll find most of these amazing vectors for as low as a single credit!. Moreover you can download these Vectors in 4 widely used formats – EPS, PDF, AI and also a high resolution JPG. If you are a regular buyer and are on the lookout for quality vectors at reasonable prices, this is just the site for you. This site has vectors for as low as $0.46 on monthly subscriptions, and even for $0.36 if you subscribe to a yearly plan. Now if you go by the credit system to make your purchases you may not benefit as much as you would from a subscription based purchase. iStockphoto is one of the leading websites for high quality Vectors and images. You can get some rich Vectors at real low prices here too. Let me tell you how to look for low priced Vectors on this site. The iStockphoto website has a great search option in the left sidebar where you can search by selecting the price range. Move the right slider to the extreme left and you'll find that the webpage reloads to reveal some awesome Vector images for as low as 1 credit. Isn't that unbelievable. Remember to add a category to show you Vectors in a category you choose or the webpage does not show any results. I hope all you fellow designers benefit by buying you're cheap vector graphics from these websites and save on your forthcoming design projects. From the fantastic early bird offer from Vectorfresh, to the other great deals mentioned in our list, you have plenty of options to get the vectors you want at an affordable price! Note: Please be sure to read and understand the licensing for these cheap vector graphics. I would love to know if you found this post useful. Also share if you have some favorite websites besides the ones mentioned here. Subscribe to our newsletters for more insider stuff. Thank you.. I just purchased from one of the sites you recommended.. and now rolling up my sleeves to start a project. What a help! Thank You Deb! It’s always a pleasure to help people. Good luck with your new project.